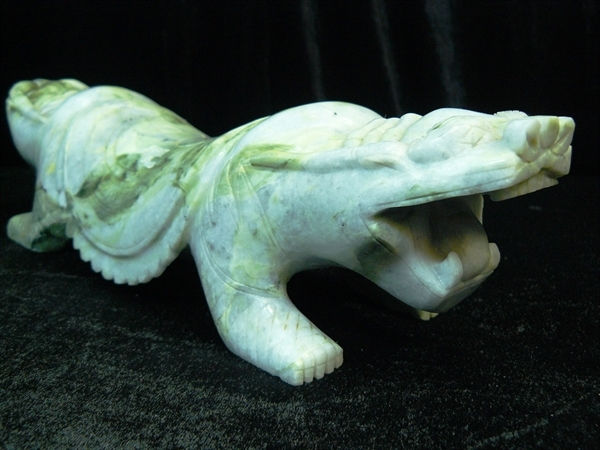 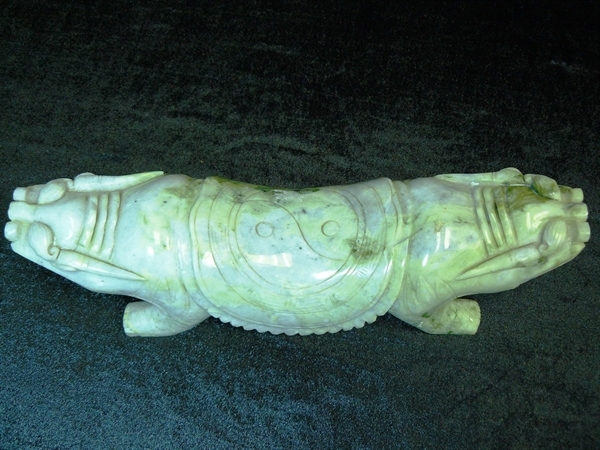 This is one solid piece of green jade. 2 dragons on each end. 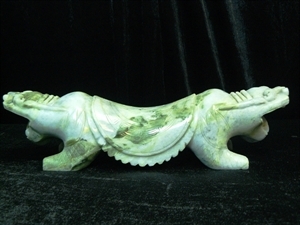 It is an ancient pillow.